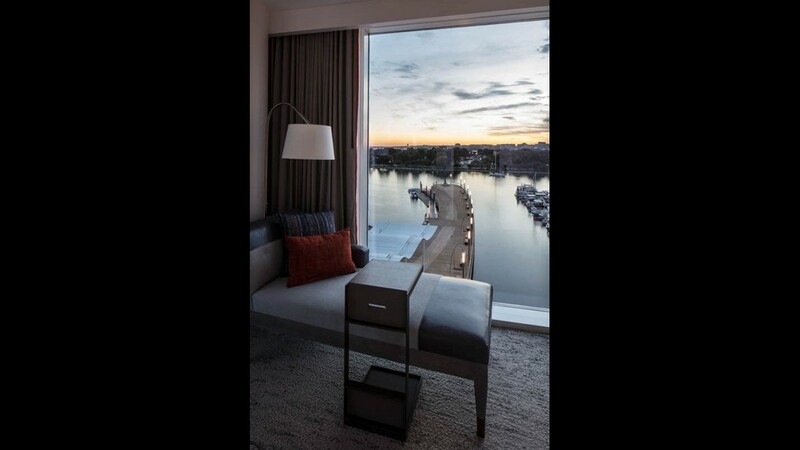 Canopy by Hilton is a new hotel on The Wharf. 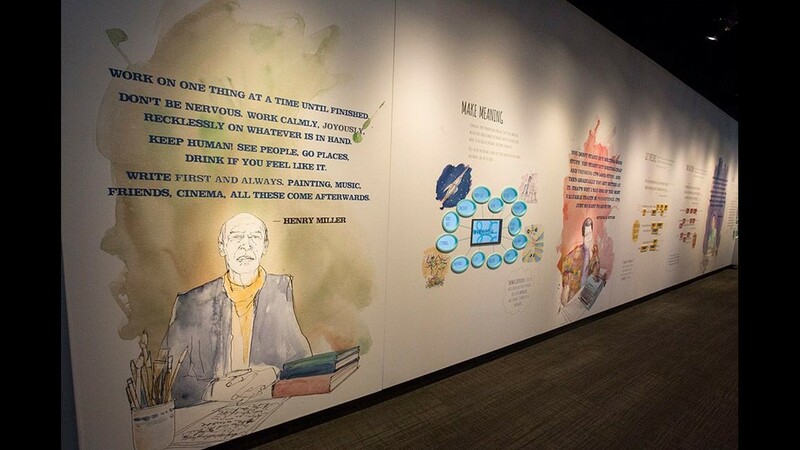 People walk around The Wharf in D.C.
Exhibit is seen on a wall at the Museum of the Bible. 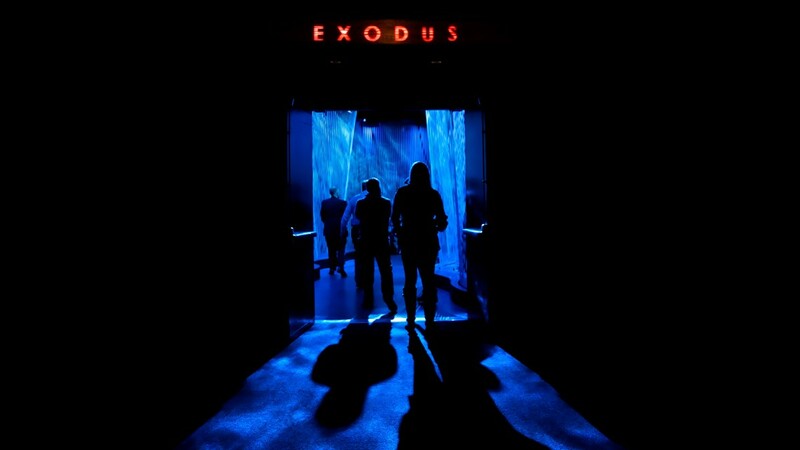 A door opens to the "Exodus" section at the end of the "Passover" presentation inside the Museum of the Bible. 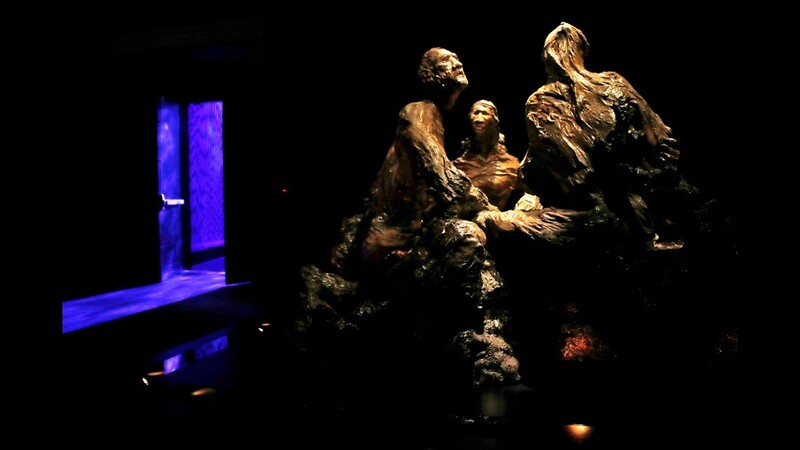 A door opens to the "Exodus" section inside the Museum of the Bible. 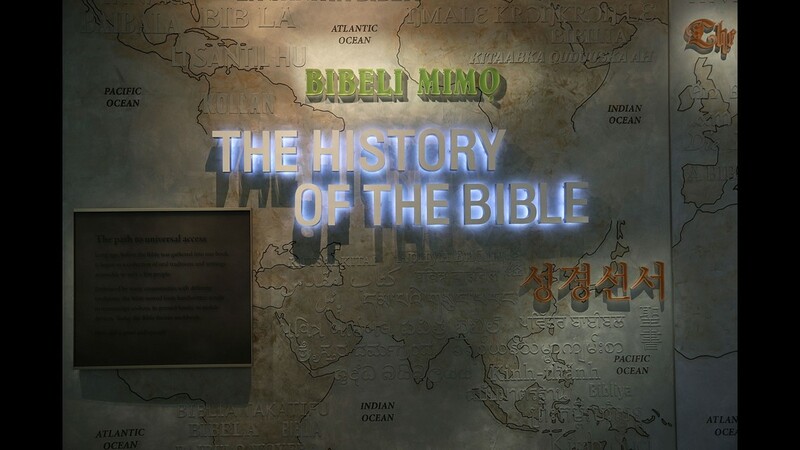 Exhibits are readied inside the Museum of the Bible. 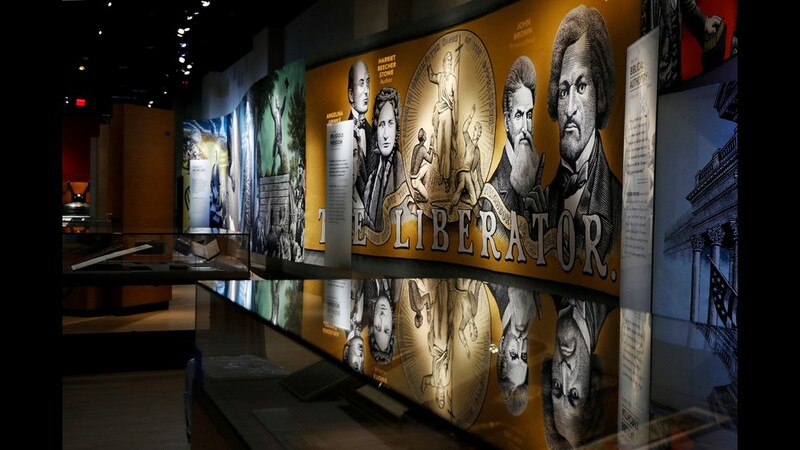 An exhibit discussing slavery and the Bible in the United States is displayed inside the Museum of the Bible. 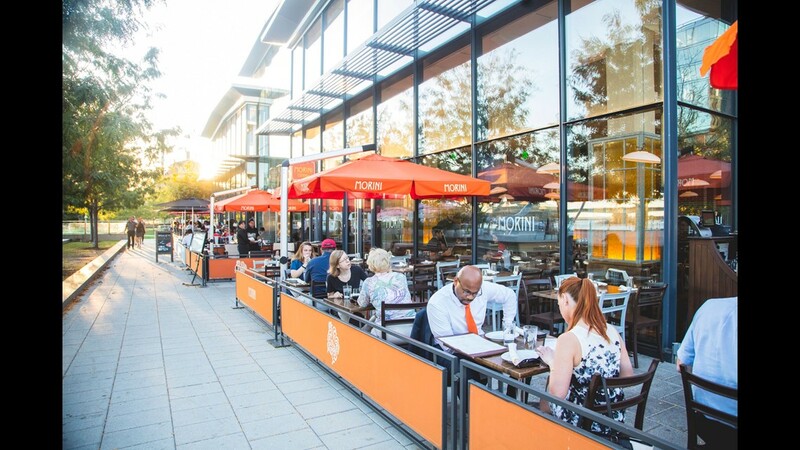 Osteria Morini is a restaurant on the Capitol Waterfront. This is the lobby of the new Canopy by Hilton on The Wharf. 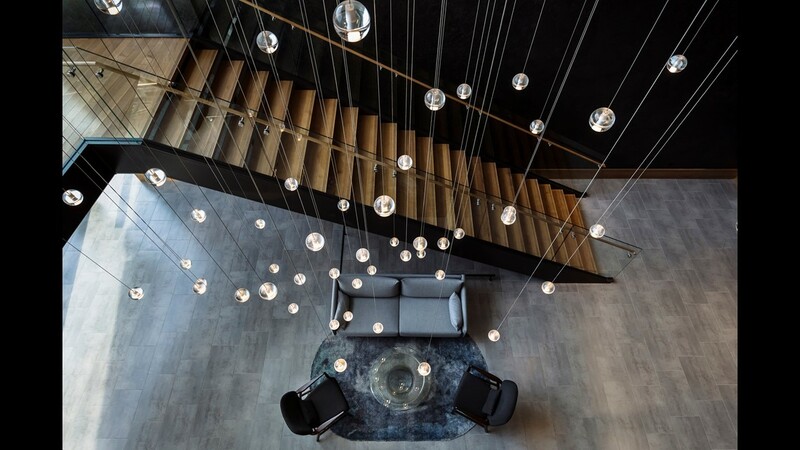 This is an artistic staircase at the Canopy by Hilton. This is one of the many public areas at the new Canopy by Hilton on The Wharf. 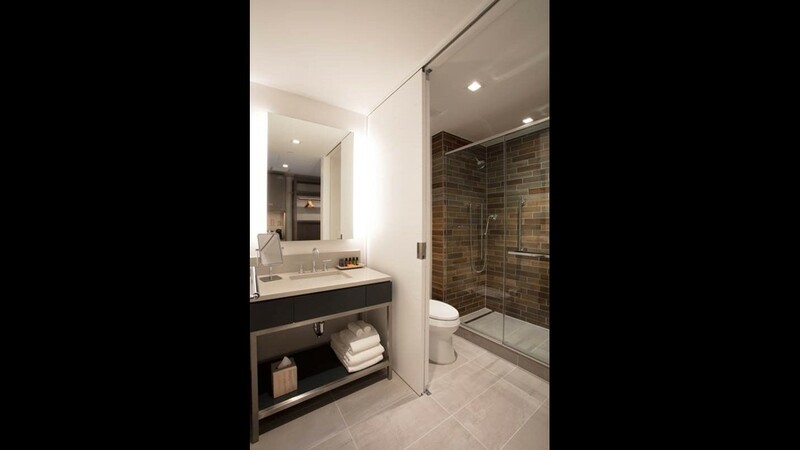 This is a guestroom bathroom at the new Canopy by Hilton on The Wharf. District Winery is a popular D.C restaurant. 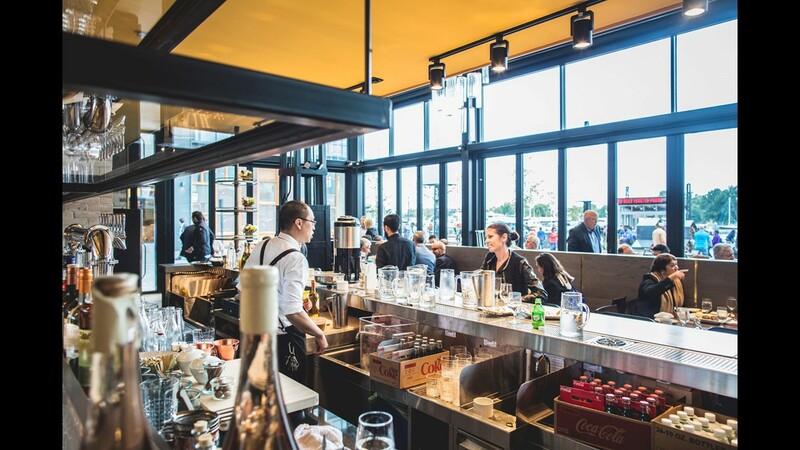 Requin is a new restaurant by Mike Isabella on The Wharf. 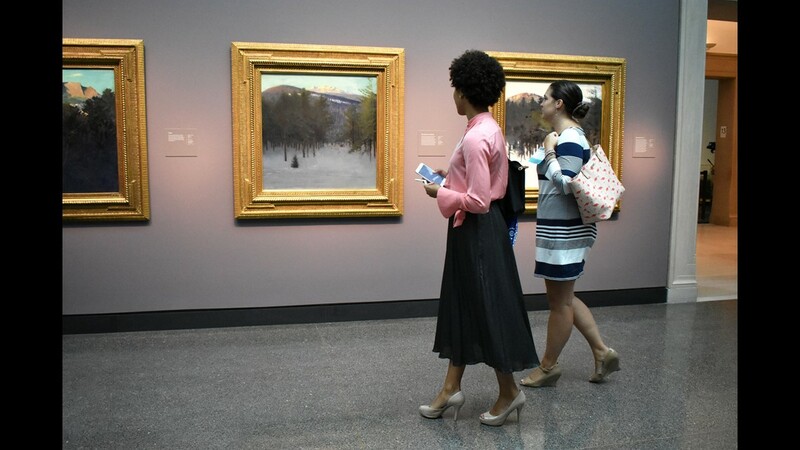 The Freer Gallery of Art has gone through a renovation. 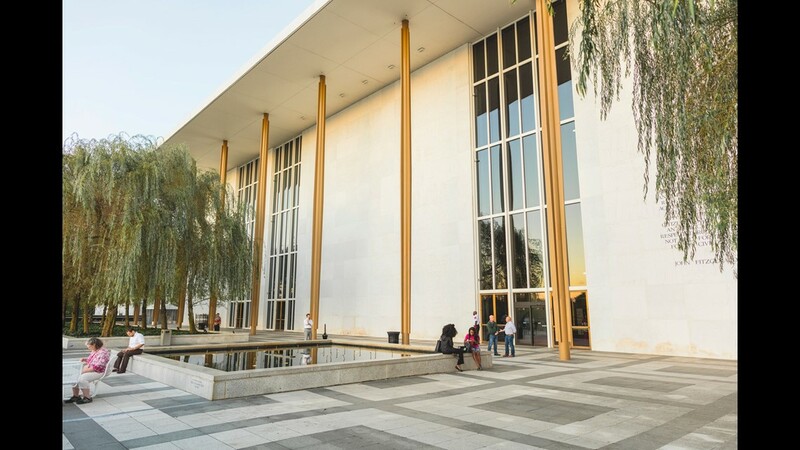 The Kennedy Center for the Performing Arts has been expanded. 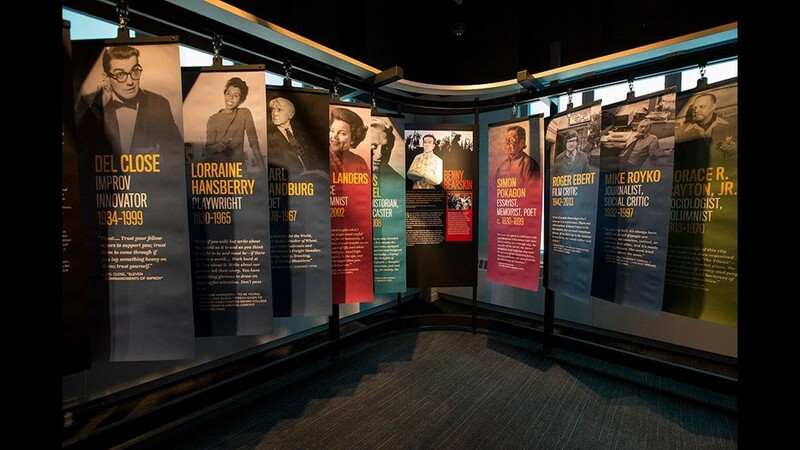 The Smithsonian is a popular attraction. Washington, D.C. is one of the most popular U.S. destinations, according to TripAdvisor. It has dozens of new hotels, restaurants and other attractions. Spring and summer is when the city shines, and there will be plenty for visitors to see and do. 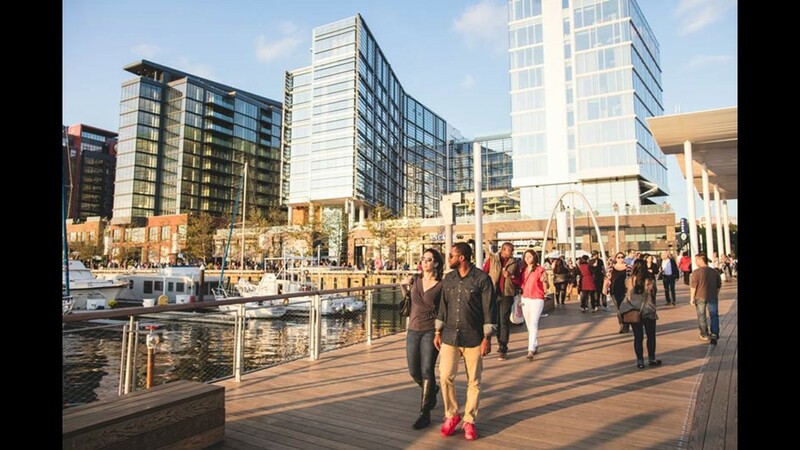 The Wharf is D.C.’s revitalized Southwest Waterfront. 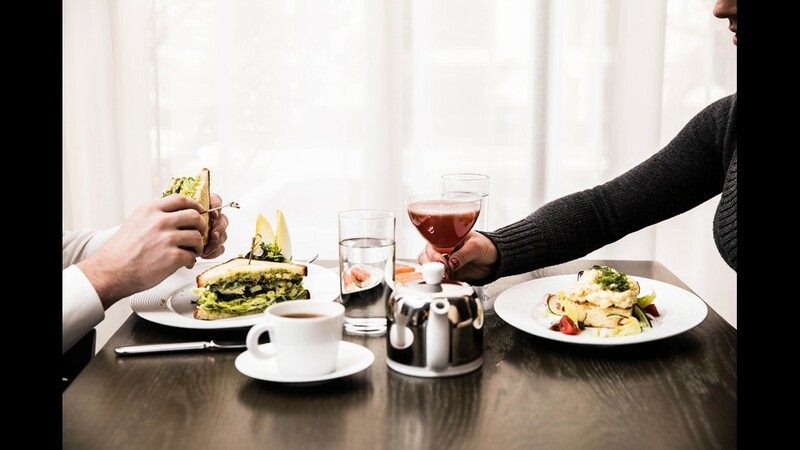 It is quickly becoming one of the city’s most popular destinations for dining, shopping and entertainment. Its riverfront has four different piers. 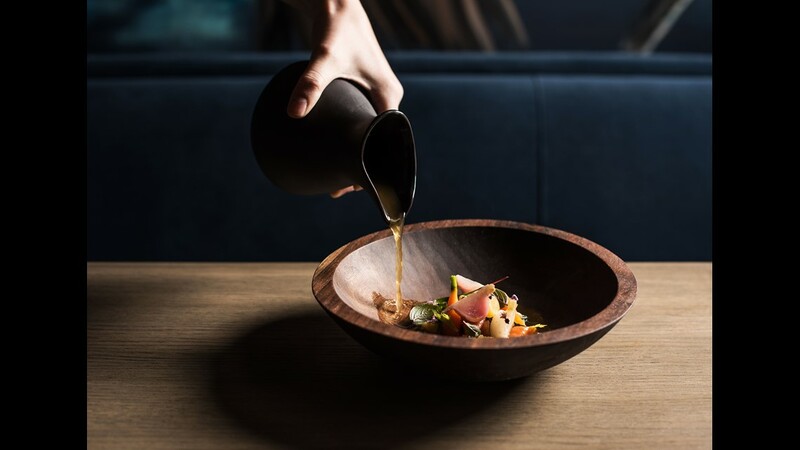 Visitors can catch a show at the Anthem or eat at the many restaurants including Kith/Kin by Top Chef alum Kwame Onwuachi, Requin by Mike Isabella, and Kaliwa, which serves Filipino, Thai and Korean cuisine. 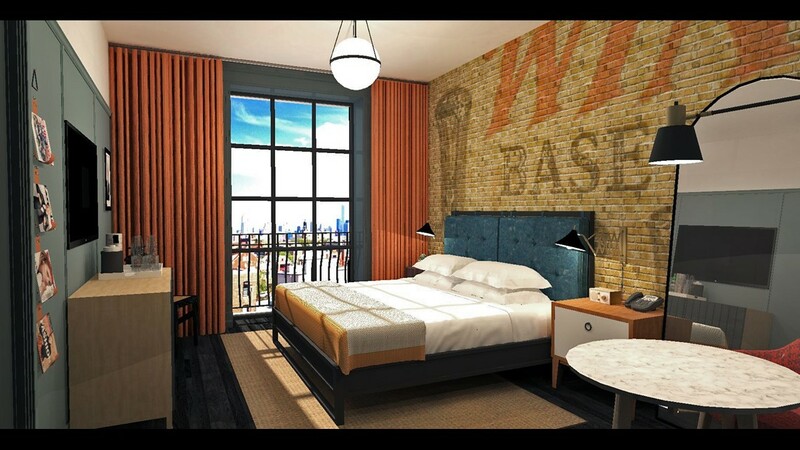 New hotels include The InterContinental The Wharf and the Canopy by Hilton. The Capitol Riverfront is another emerging neighborhood on the Anacostia River. The Washington Nationals ballpark is located there. 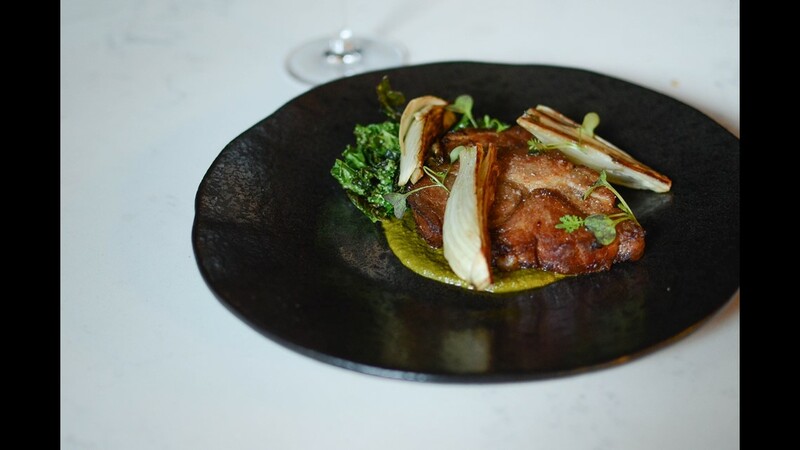 Dining options include the Italian Osteria Morini. 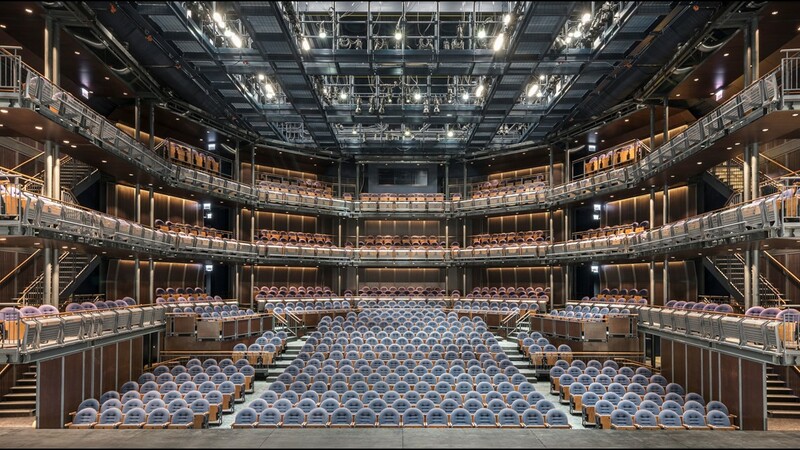 The John F. Kennedy Center for the Performing Arts has unveiled an expansion. It has 2,500 additional square feet of performance space and 7,500 square feet of event space. Another addition: a new video wall outside. 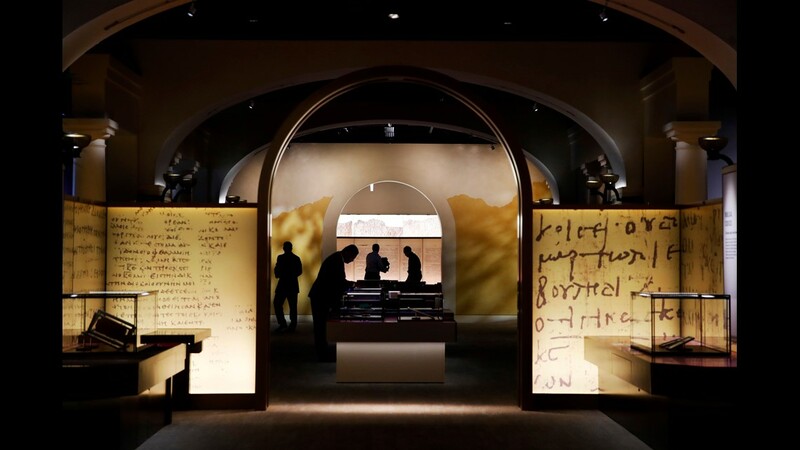 The Museum of the Bible is now open with 430,000 square feet of biblical artifacts. It also has a special performance venue. 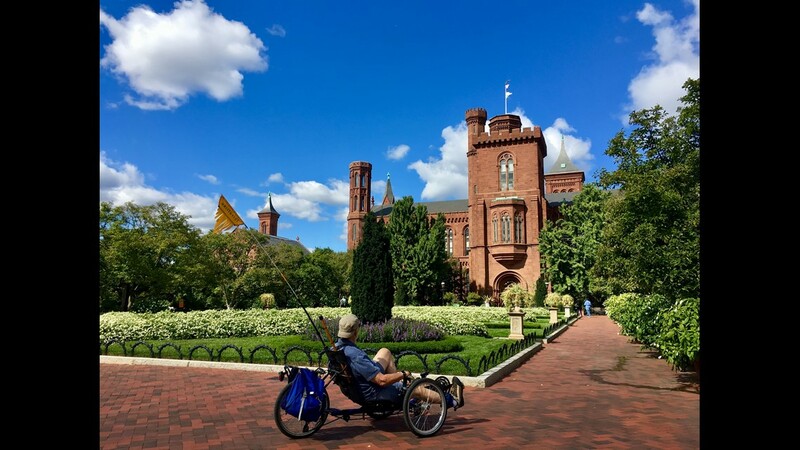 The Smithsonian Freer and Sackler Galleries have re-opened after a major renovation. They house Near Eastern art and contemporary Asian art. 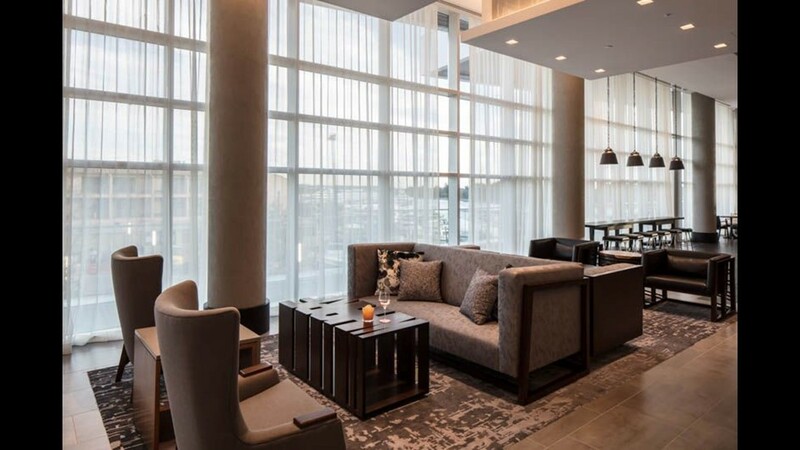 The city is experiencing a hotel boom. 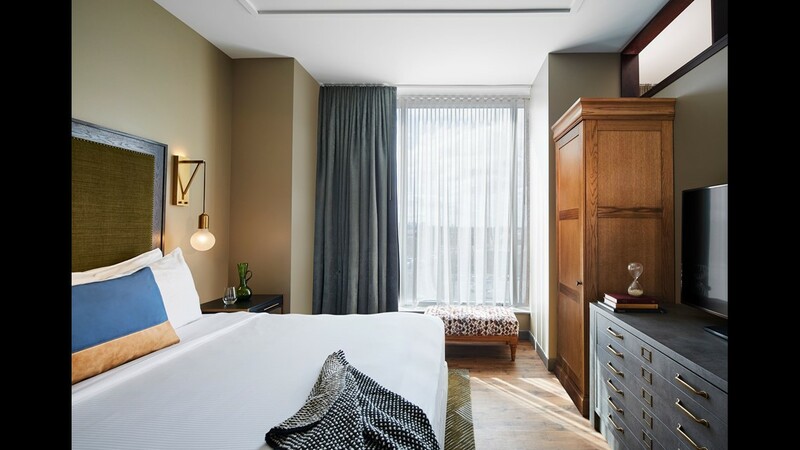 Among new hotels opening this year: The Moxy for younger travelers, the Paris-based Mob Hotel, and the Eaton Workshop which is designed to offer programming and podcasts as well as rooms. 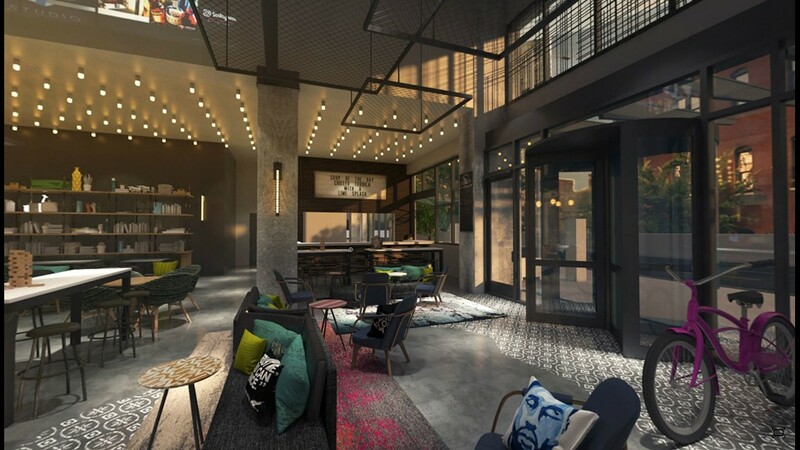 The Line Hotel has already opened in the Adams Morgan neighborhood in a former church. 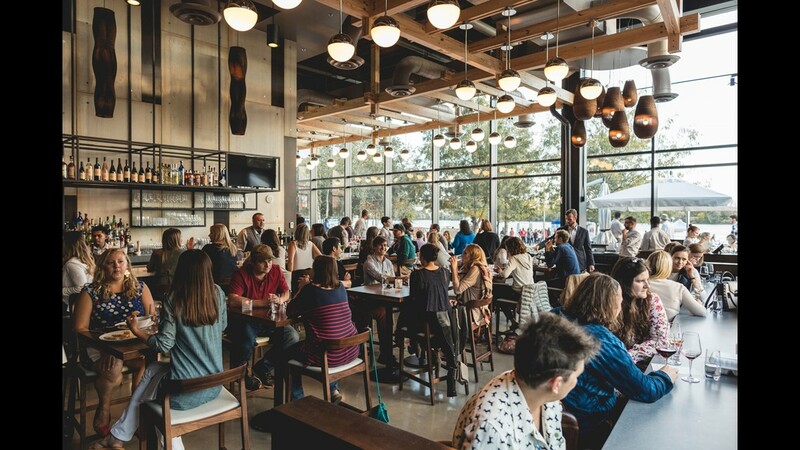 The D.C. restaurant scene has been booming in recent years. 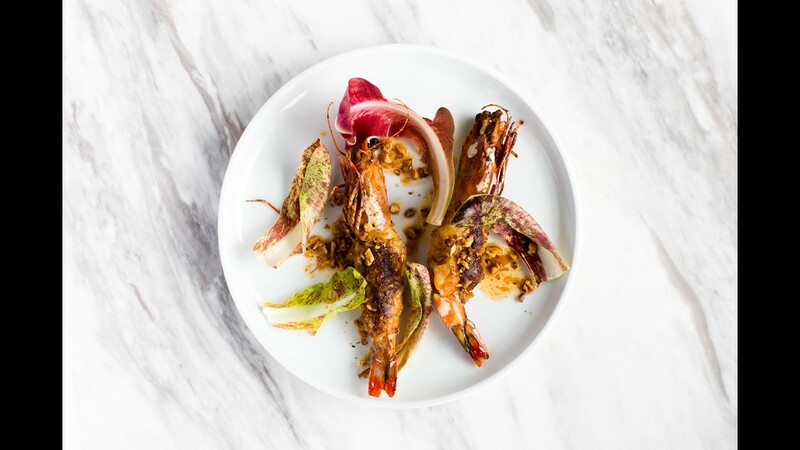 Some hot ones: the Middle Eastern Sababa, the Mexican Mayahuel, the French Gaslight Tavern, and A Rake’s Progress by James Beard Foundation Award-winning chef Spike Gjerde, which has already attracted the Obamas. 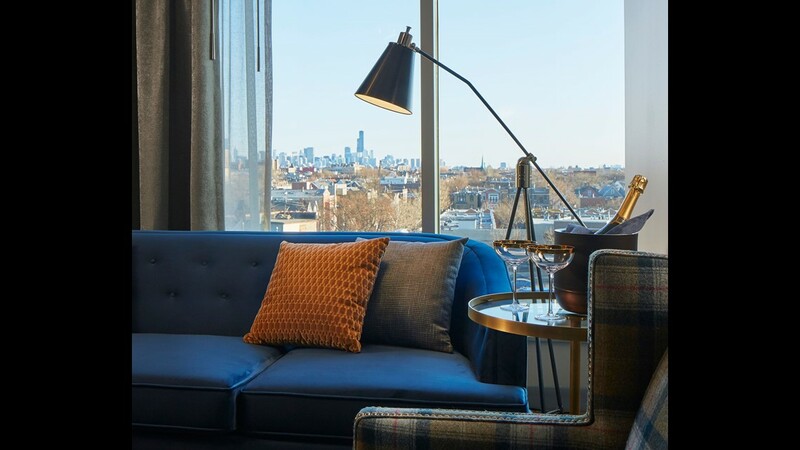 The Hotel Zachary is inspired by the designs of world-renowned Wrigley Field architect and Chicagoan Zachary Taylor Davis. 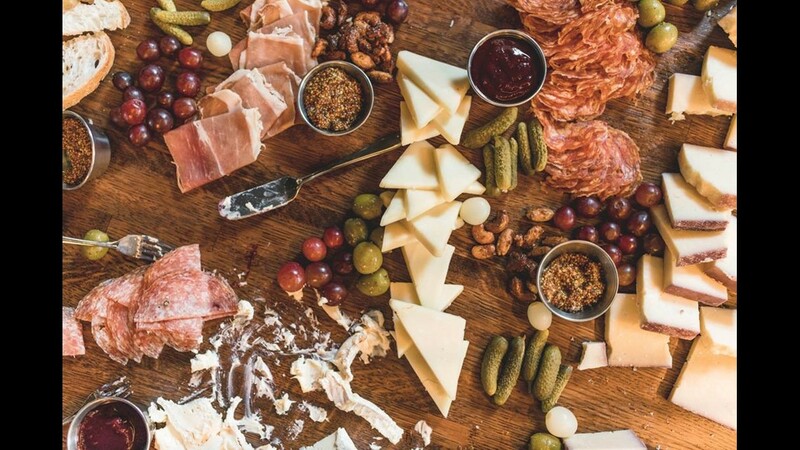 Hotel Zachary has Chicago-inspired dining options. 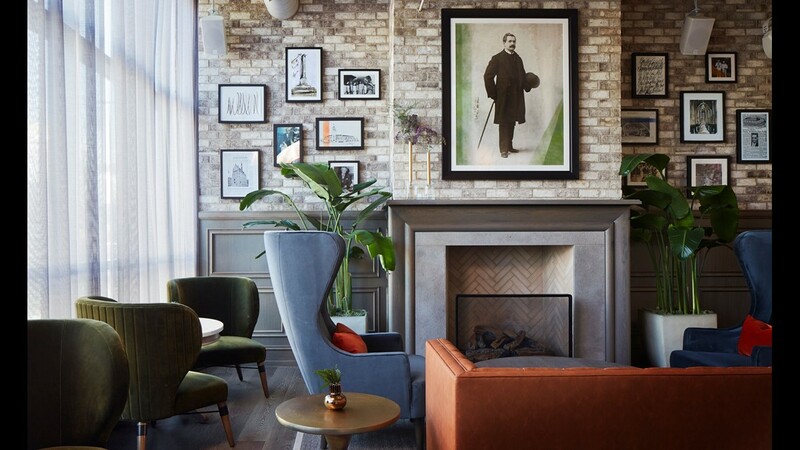 Hotel Zachary is a 173-room boutique hotel in Wrigleyville. 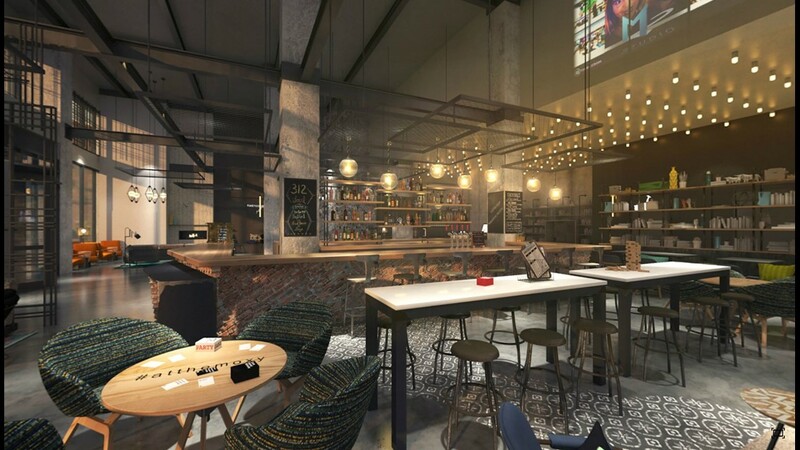 Marriott International's Moxy Chicago debuts this spring. 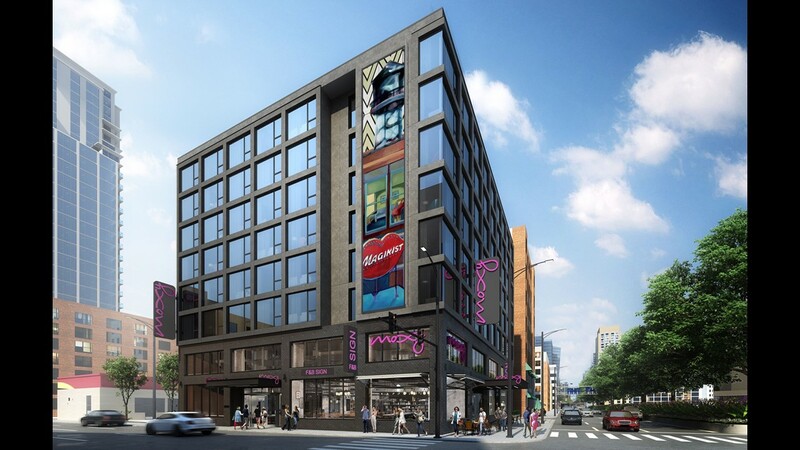 The Moxy Chicago has 156 bedrooms. 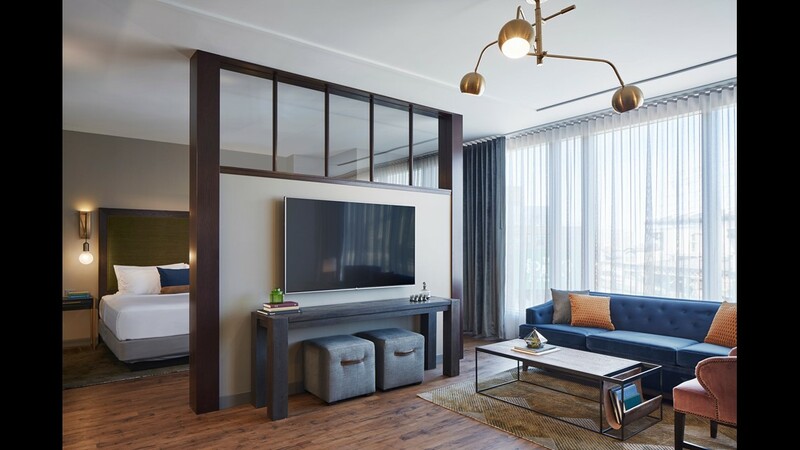 The Moxy Chicago has 156 bedrooms with plush platform beds, peg walls instead of closets, motion sensor lighting, 49-inch LED TVs, and USB outlets. 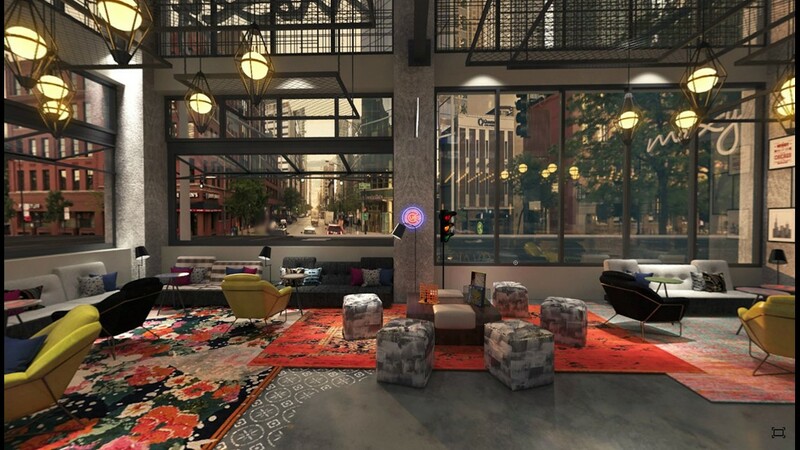 Moxy Chicago is the first of its brand in the Midwest. 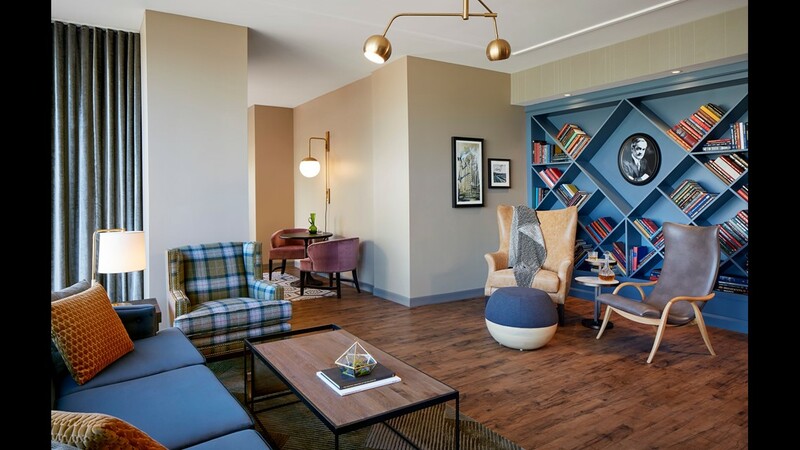 Opening summer 2018, St. Jane Chicago will have 363 rooms and flexible public and private spaces. 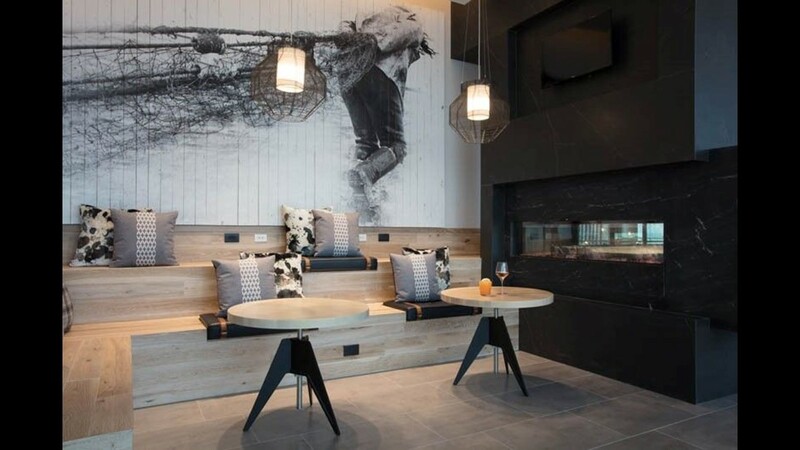 The Wheelhouse Hotel is a 15,000 square-foot property with 21 guest rooms. Suites have outdoor terraces. 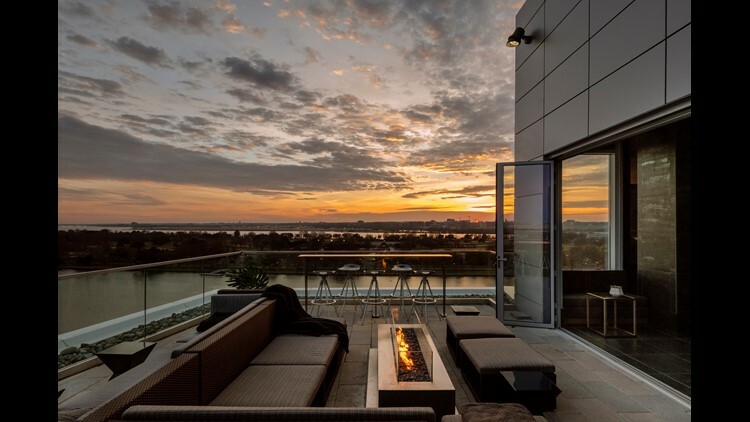 The Wheelhouse Hotel has a rooftop overlooking the city offering activities such as yoga and a cocktail happy hour. 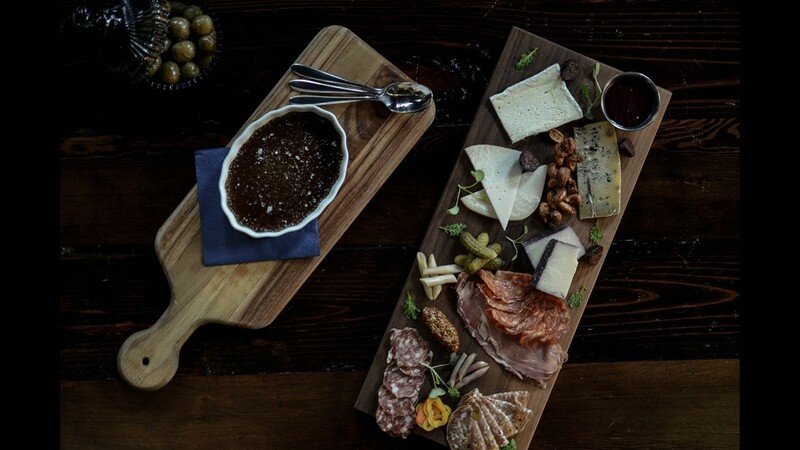 It also has a restaurant, Union Full Board, and an underground cocktail bar, Tinker to Evers. 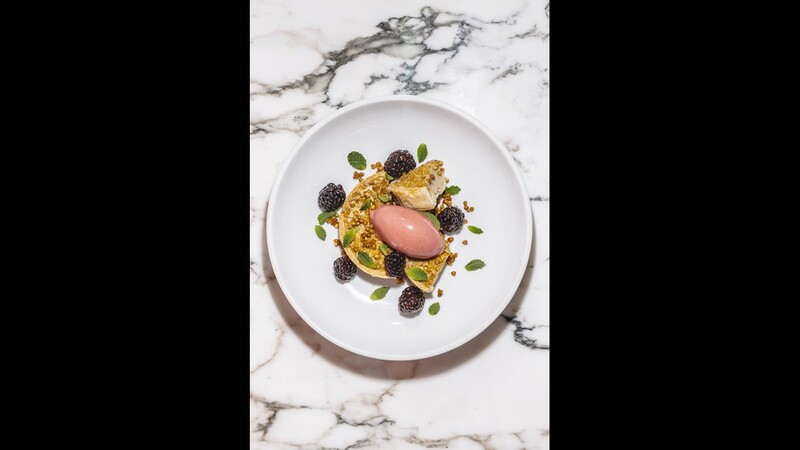 Bellemore has dishes such as The Oyster Pie, a savory oyster custard topped with Osetra Caviar and crème fraiche, lemon dressed apple and dill. Other dishes include Venison Tartare with grilled mushrooms, turnips, pears, pumpernickel and lime. 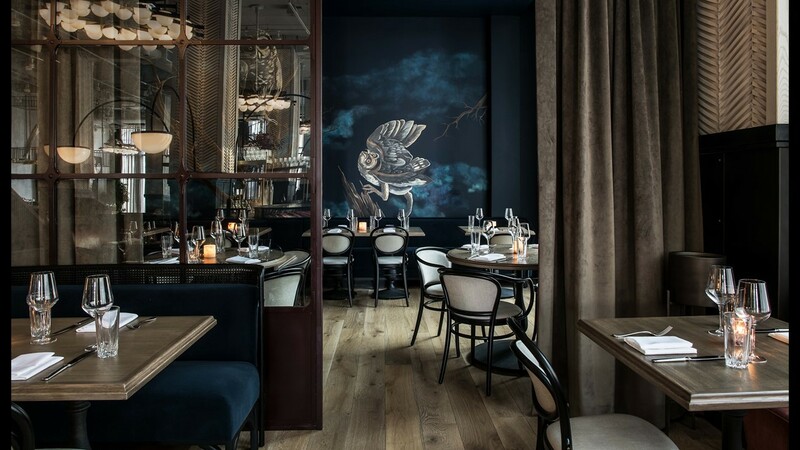 Chicago Chef Jimmy Papadopoulos, in collaboration with Boka Restaurant Group, opened Bellemore, an artistic American restaurant. 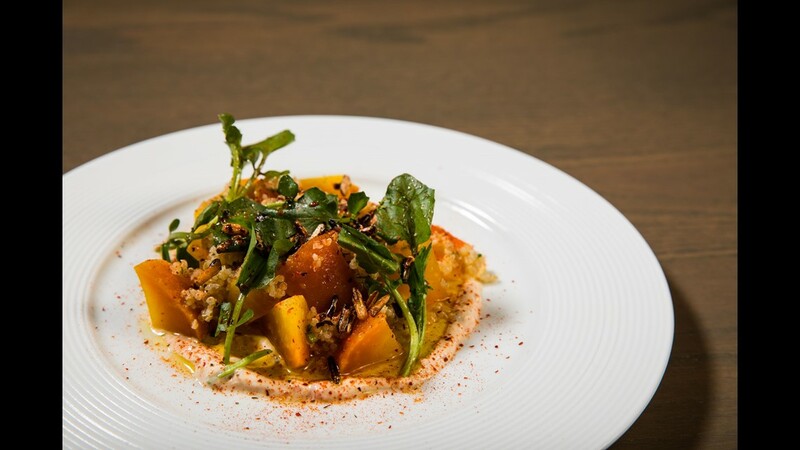 Booth One is a classic Chicago restaurant from Rich Melman and the team at Lettuce Entertain You. 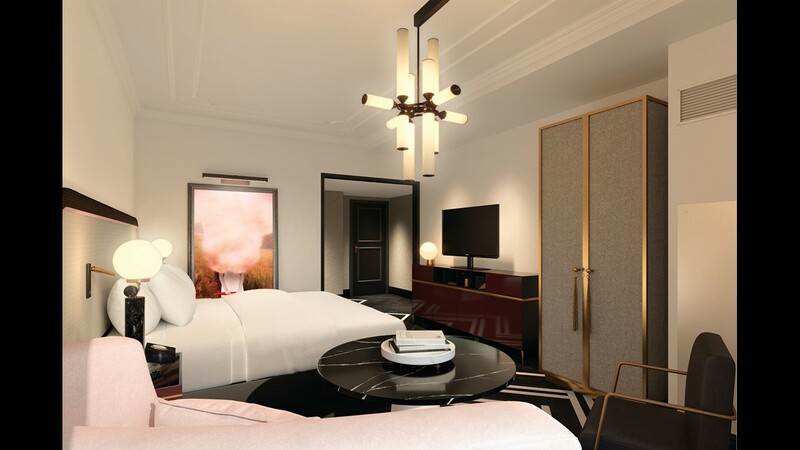 It re-opened November 2017 at the Ambassador Chicago Hotel in the Gold Coast. 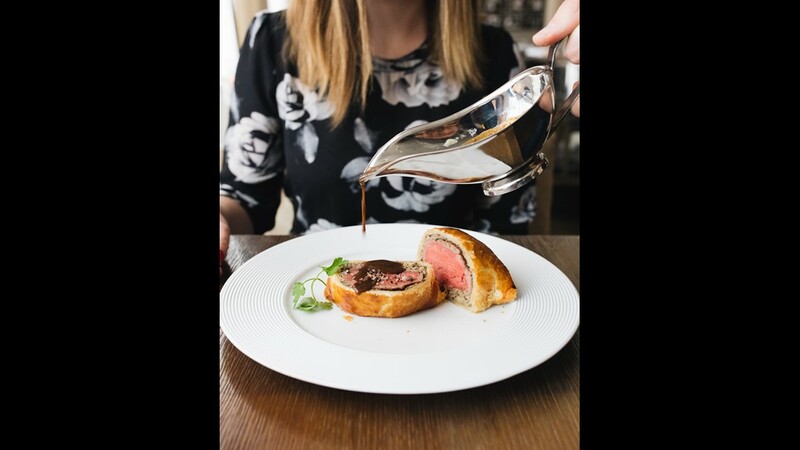 This is beef wellington. 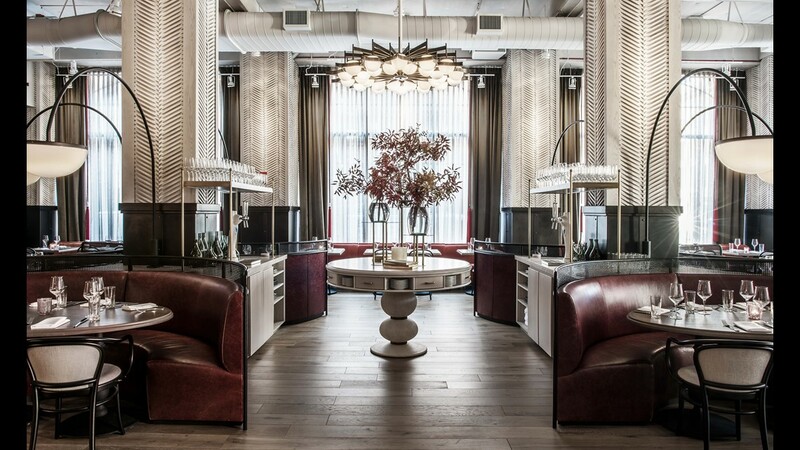 Booth One is a classic Chicago restaurant from Rich Melman and the team at Lettuce Entertain You. 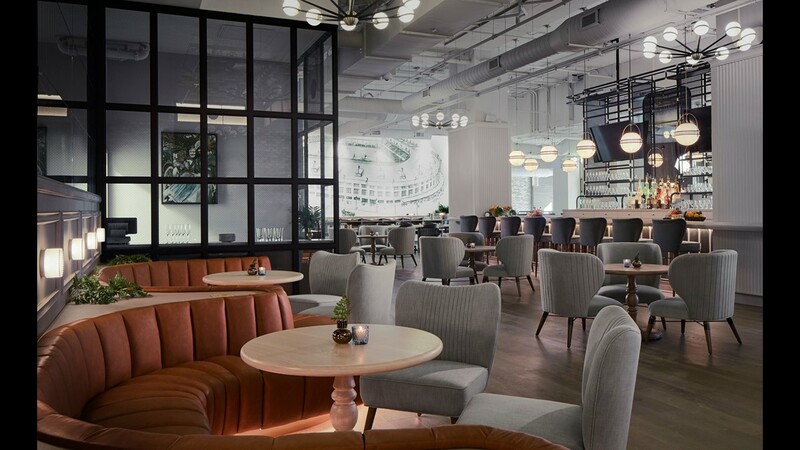 It re-opened November 2017 at the Ambassador Chicago Hotel in the Gold Coast. 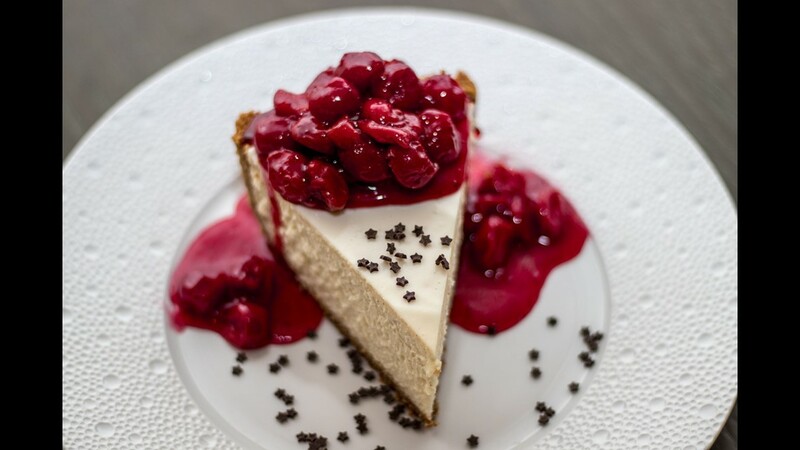 This is the cheesecake dessert. Booth One was designed by the Lettuce Entertain You team. It seats about 220 guests and serves various cocktails. 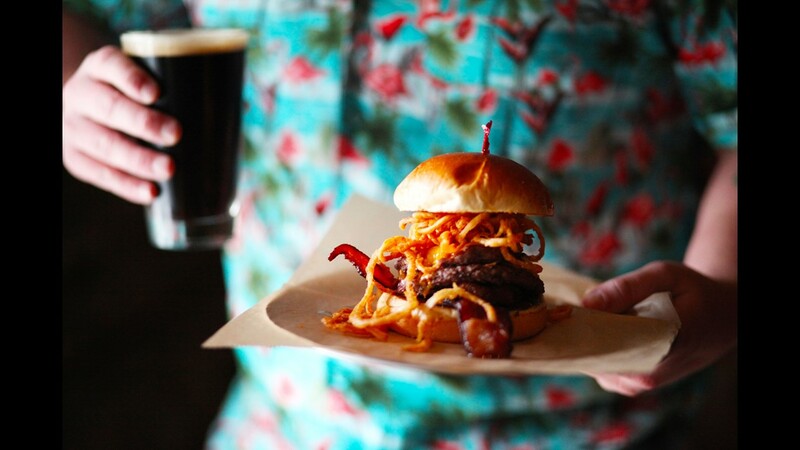 The menu at Booth One is a collaboration between Chef Rick Tramonto and Chef Doug Psaltis. This is a beet and quinoa salad. Booth One is located at the Ambassador Chicago Hotel in the Gold Coast. 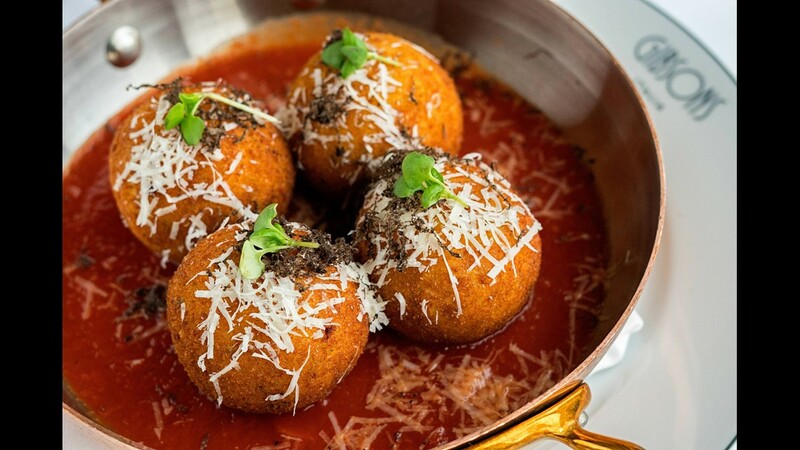 Gibsons Italia is a modern Italian steakhouse menu created by Chef John Coletta and overseen by Executive Chef José Sosa. 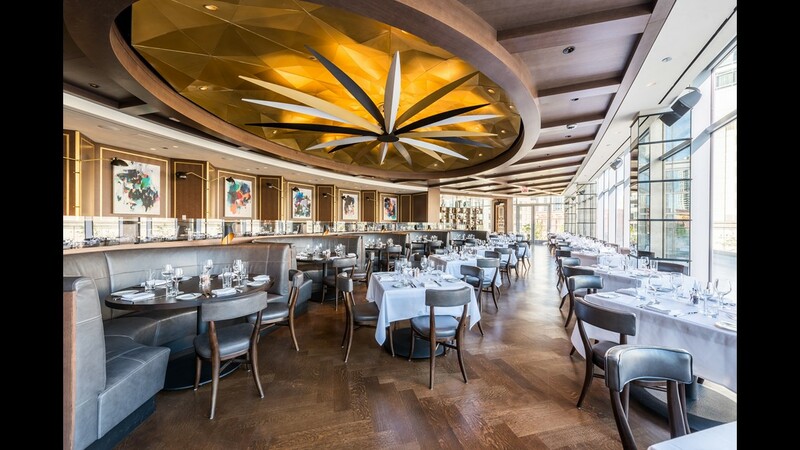 Gibsons Italia, which opened October 2017, is Gibsons Restaurant Group's first downtown restaurant since 2005. 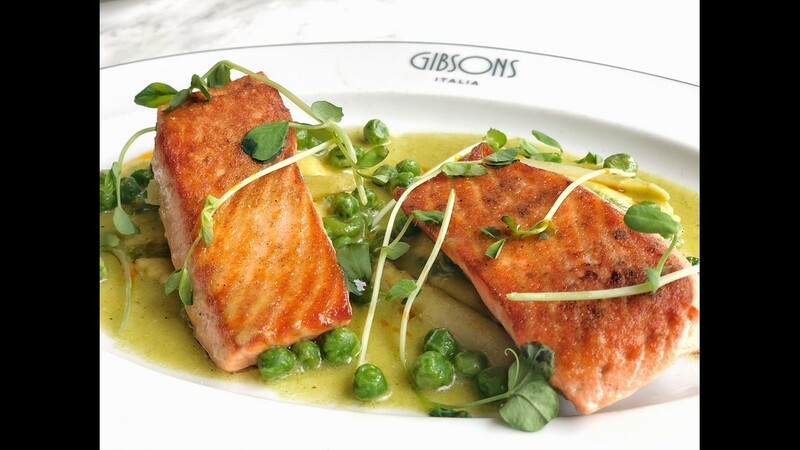 Gibsons Italia is located in the West Loop, adjacent to the new River Point building. 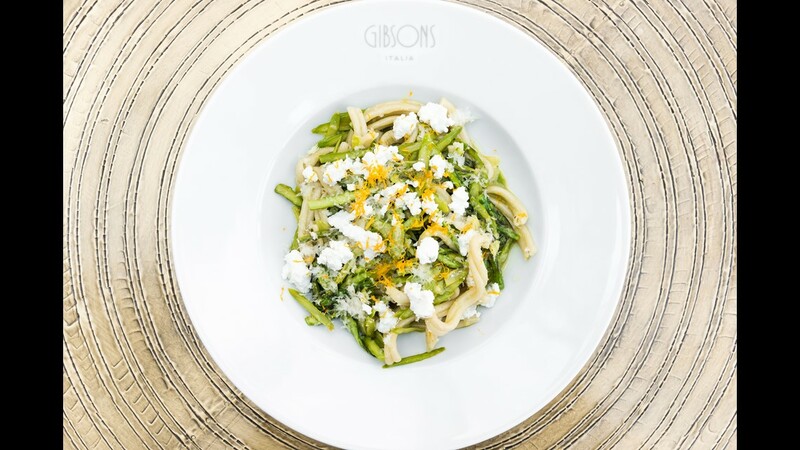 Gibsons Italia is known as a steakhouse but has vegetarian dishes such as this vegetable pasta dish. 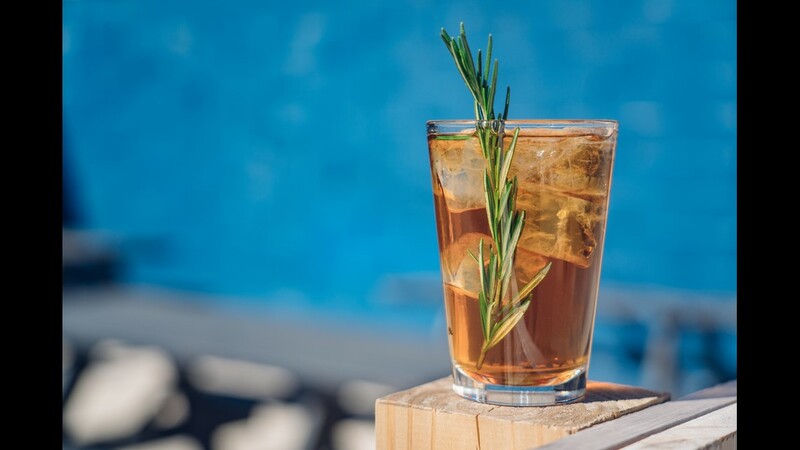 Marisol is the new restaurant and bar at the Museum of Contemporary Art featuring a menu by Chicago Chef Jason Hammel. 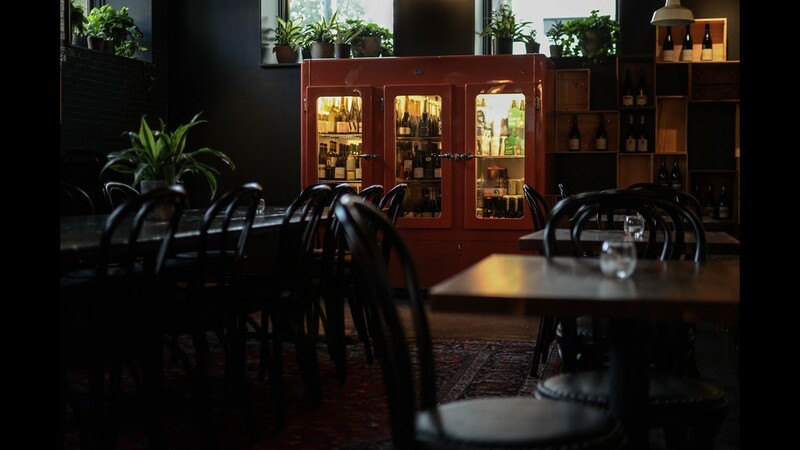 Diners at Marisol can get table service with a full bar and private dining space or counter service with communal tables. 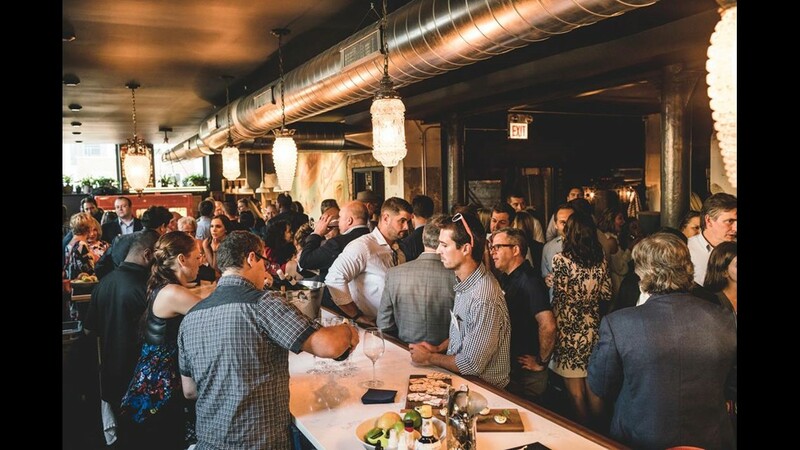 Scofflaw Group launched their newest Logan Square concept, The Moonlighter, in November. 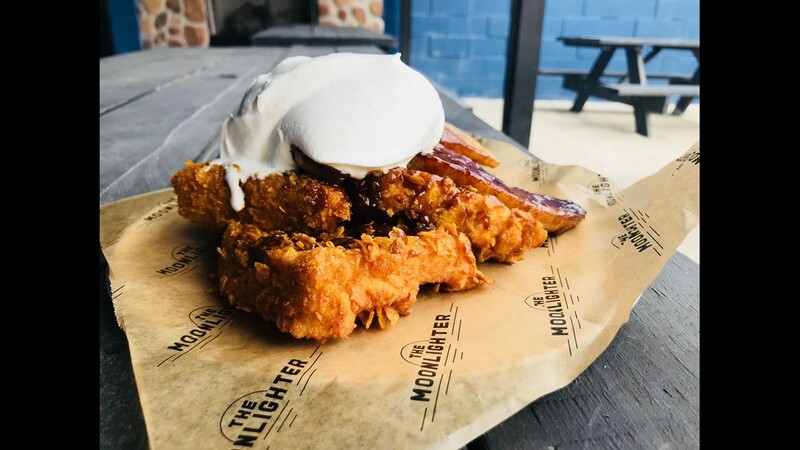 The Moonlighter serves an extensive brunch with this loaded french toast. 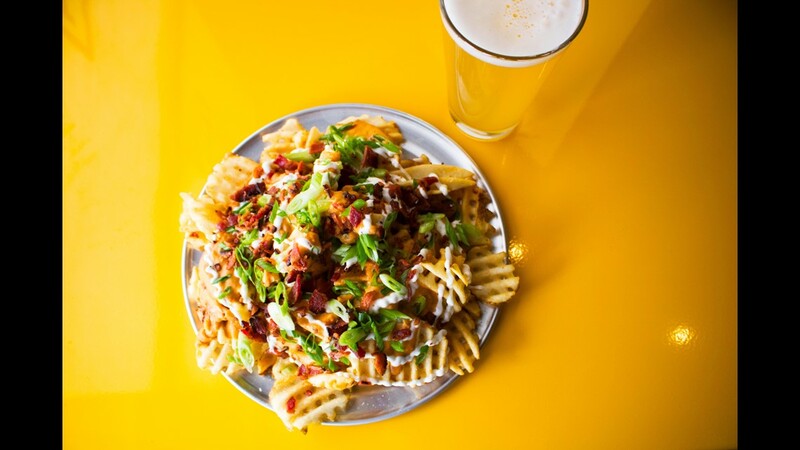 The Moonlighter features 1000 square feet of.indoor space with hearty fare such as these loaded fries. 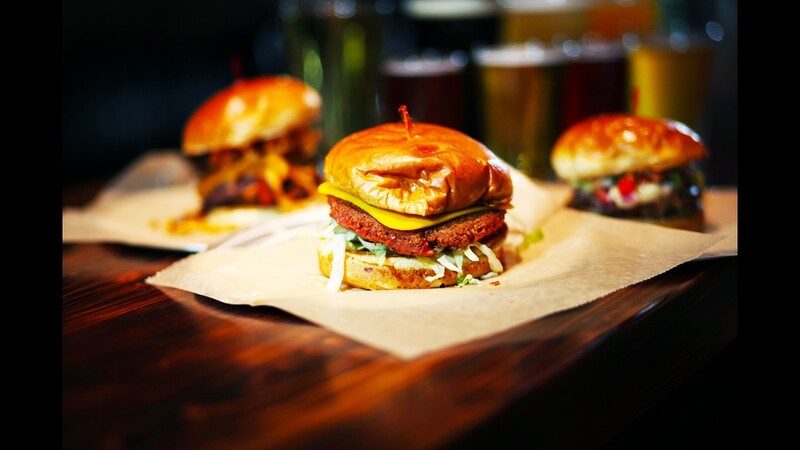 The Moonlighter serves a variety of burgers. 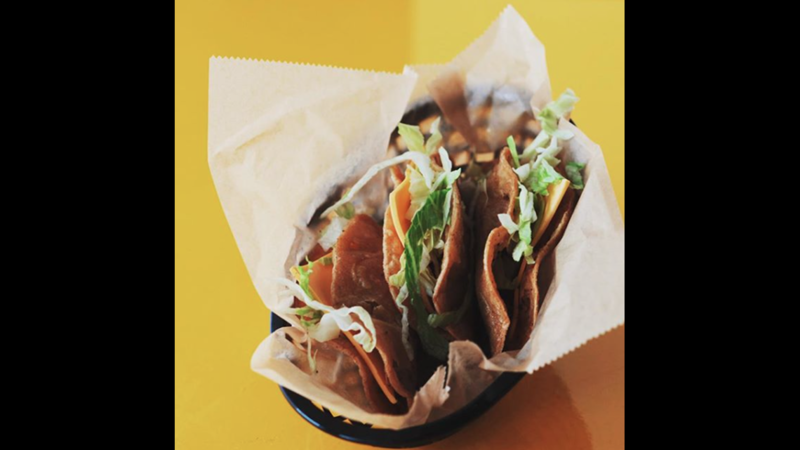 The Moonlighter serves bar food such as tacos. 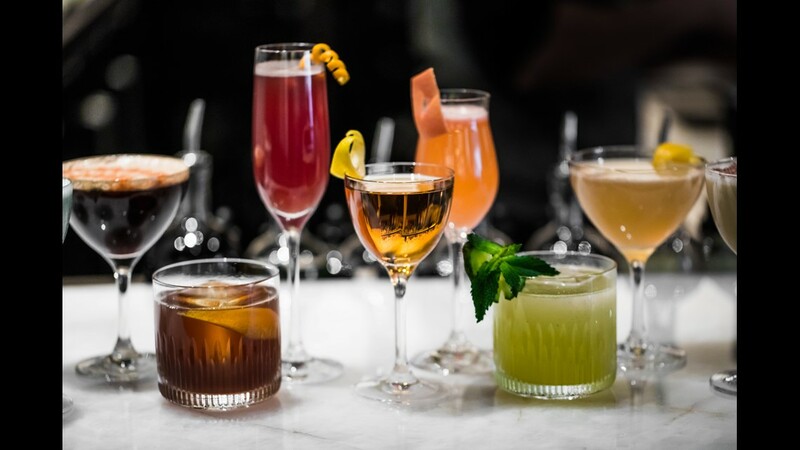 Mixologist Danny Shapiro is curating the cocktails at The Moonlighter. 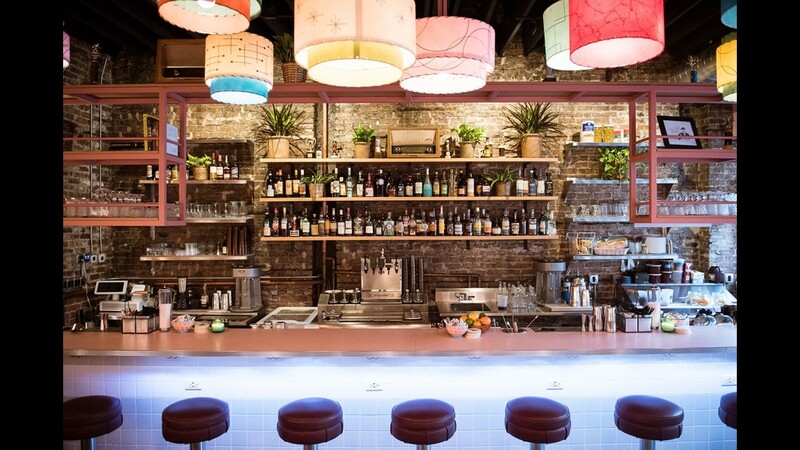 Mordecai opened last week in the new Hotel Zachary. 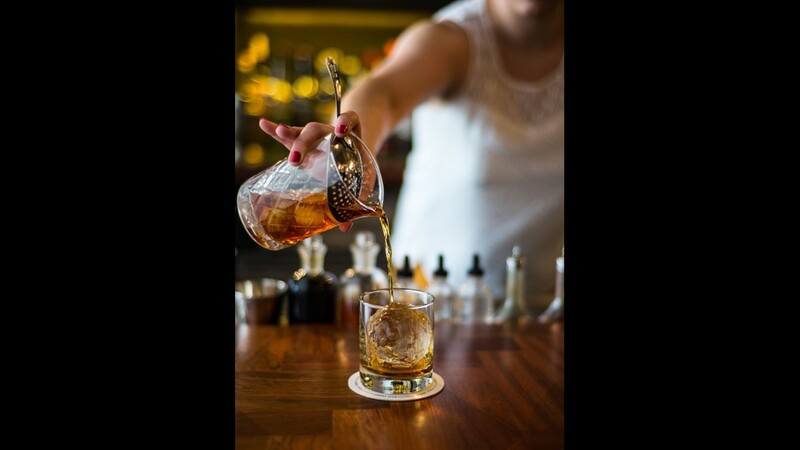 Developed by Folkart Restaurant Management, Mordecai’s bar features a selection of vintage spirits. 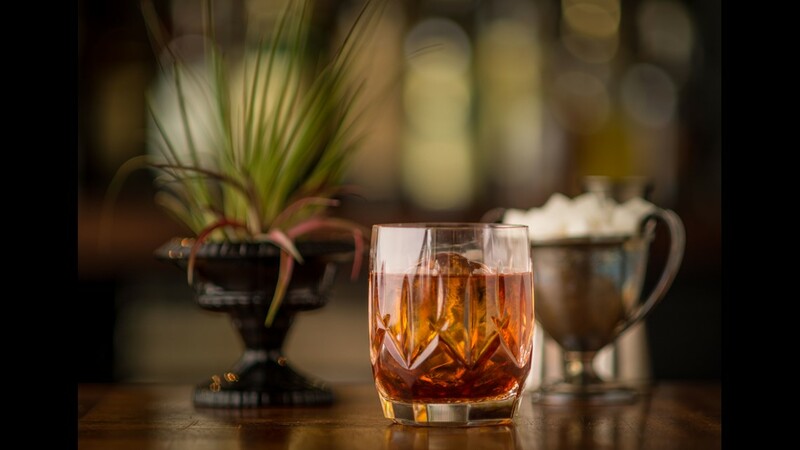 The Mordecai bar and restaurant pays homage to legendary Chicago Cubs pitcher Mordecai Brown. 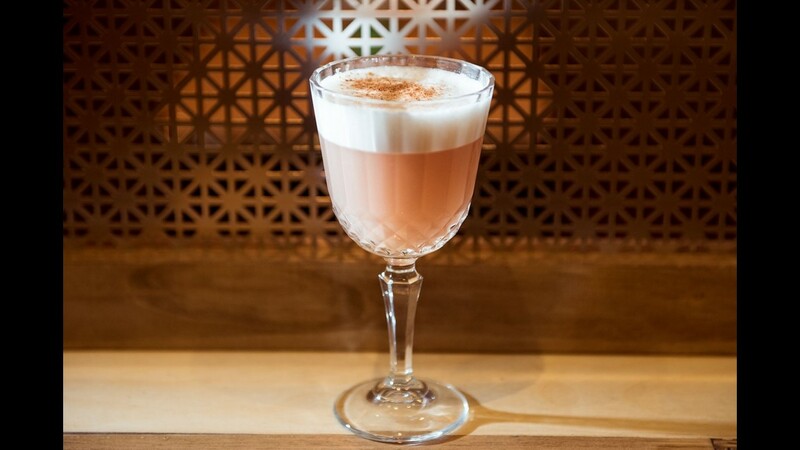 The Pink Squirrel is a retro cocktail bar inspired by the supper clubs of the 1960s. 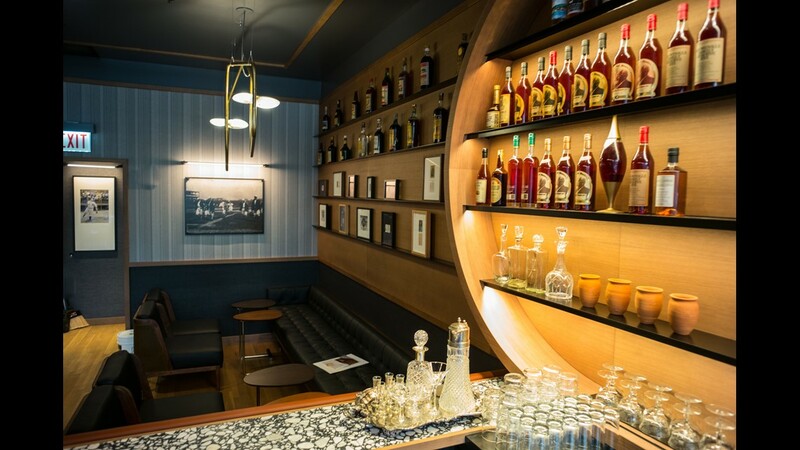 The Pink Squirrel is a retro cocktail bar inspired by the supper clubs of the 1960s. It includes a retro bowl lane. 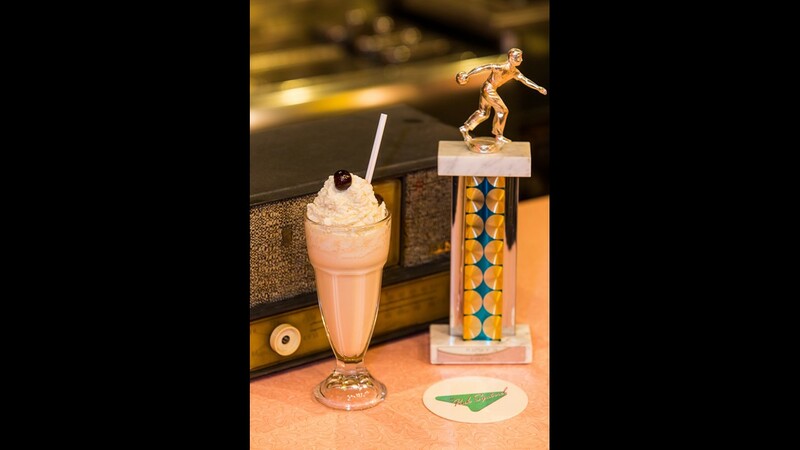 The Pink Squirrel menu offers Wisconsin-style cocktails, along with milkshakes and ice cream. 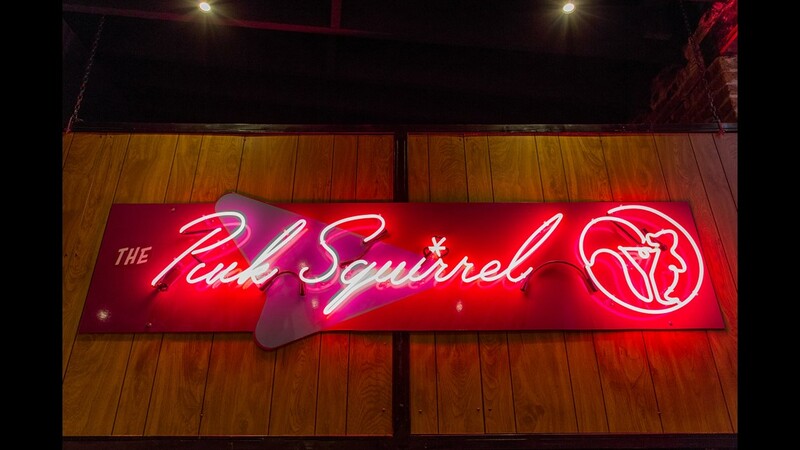 The Pink Squirrel in Logan Square seats 50. 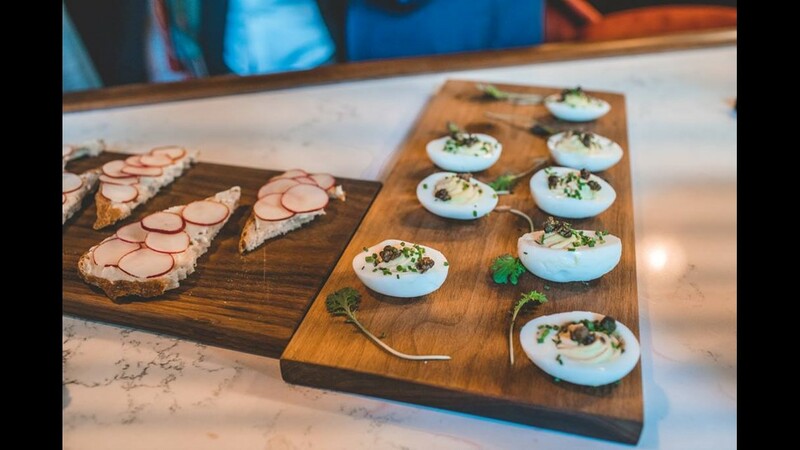 The Press Room opened in September 2017 as a subterranean wine bar located inside the Historic Free Methodist Publishing House building in West Loop. 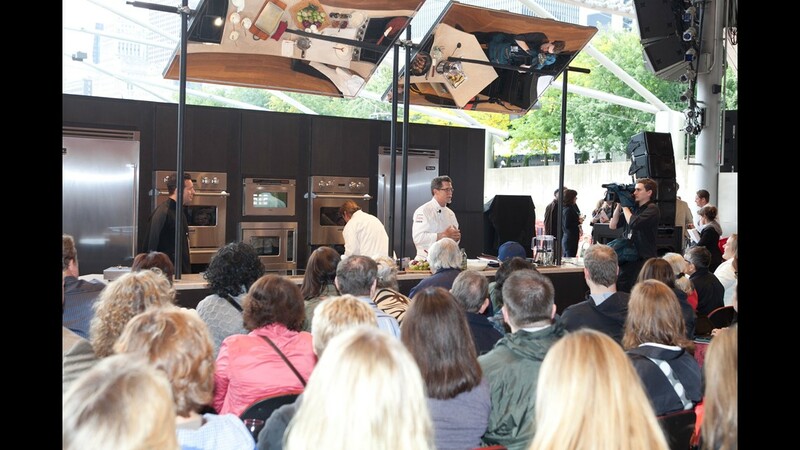 Cooking at The Press Room occurs in an open-kitchen dining room. 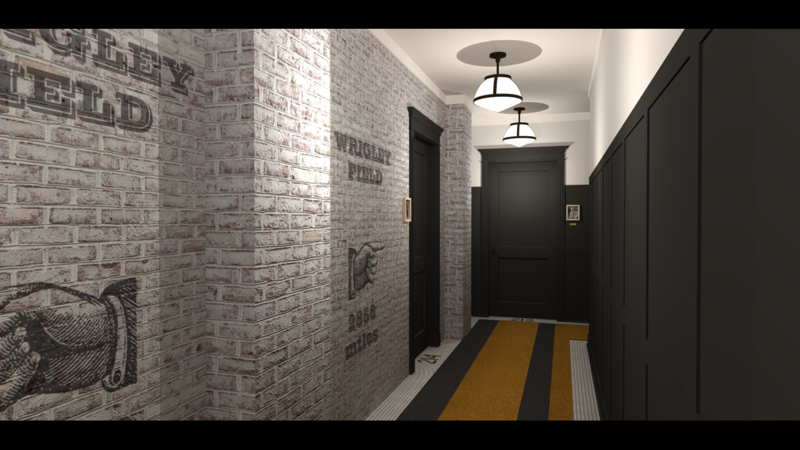 The Press Room is a basement but designers want it to feel like a secret clubhouse. The Press Room seats 70 people. The Press Room also has a private wine tasting room. 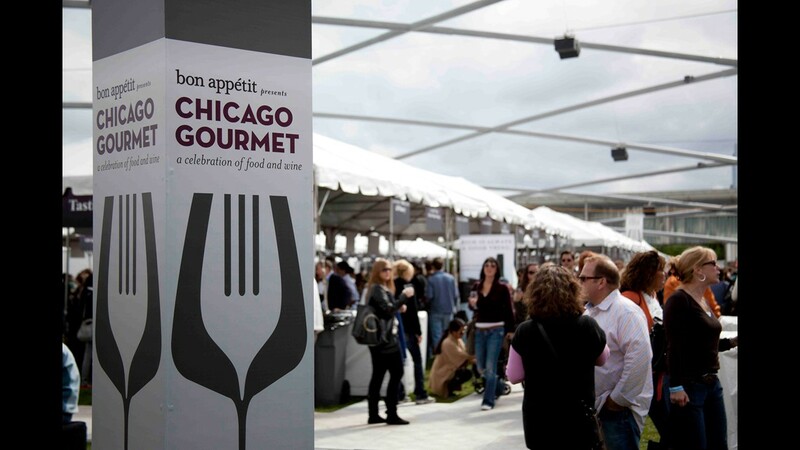 The Chicago Gourmet festival sponsored by Bon Appetit will take place Sept. 28 to 30. 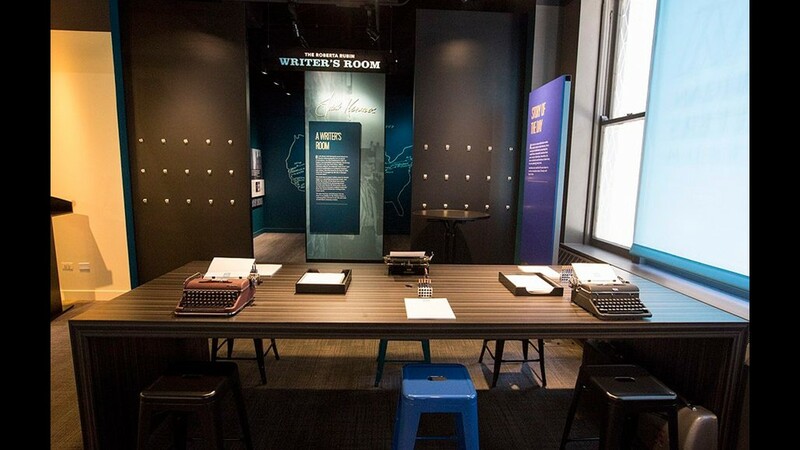 The American Writers Museum is an interactive institution that highlights the literary works of American writers such as Mark Twain and Dr. Seuss. 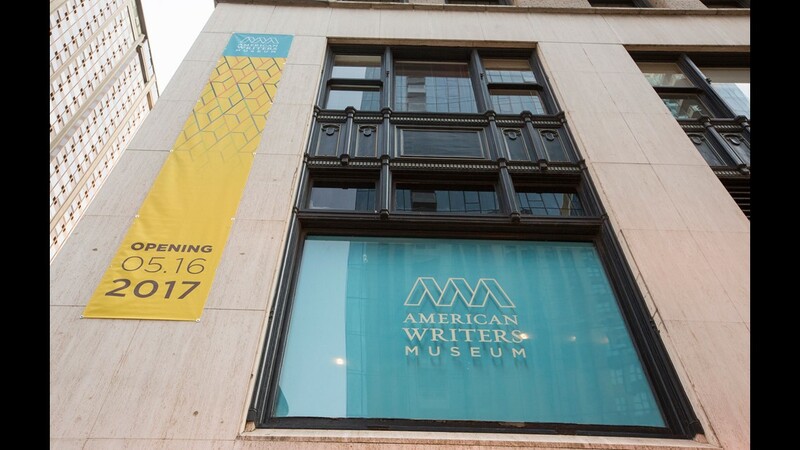 The American Writers Museum opened last May. It will celebrate its first anniversary next month . 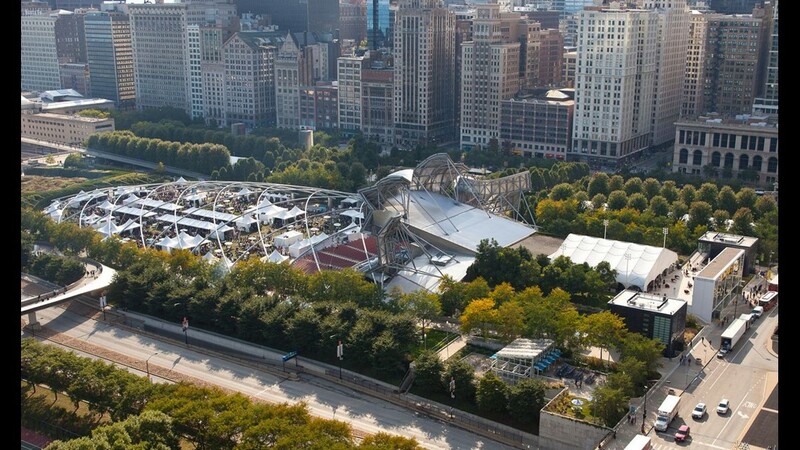 The Yard at Chicago Shakespeare opened on Sept. 12, with the ability to seat 150 to 850.